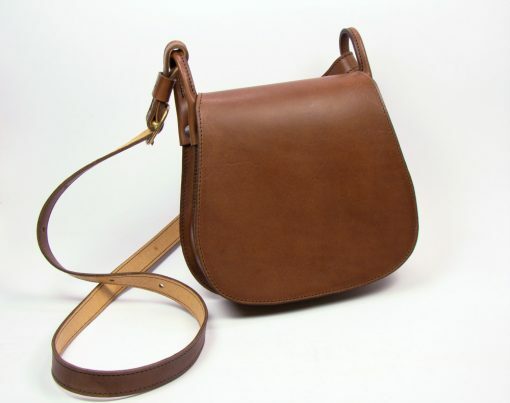 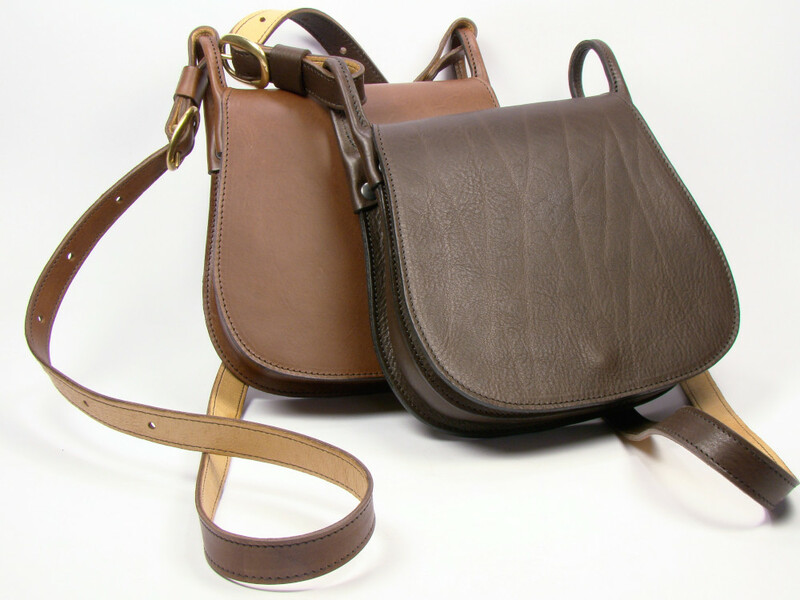 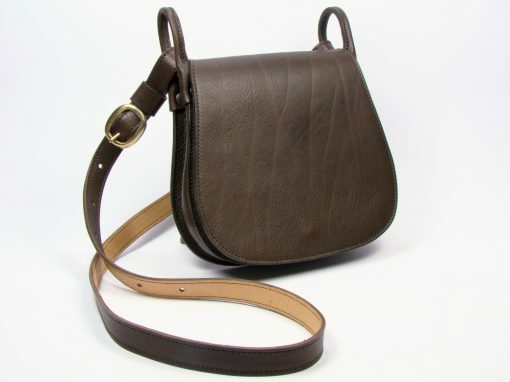 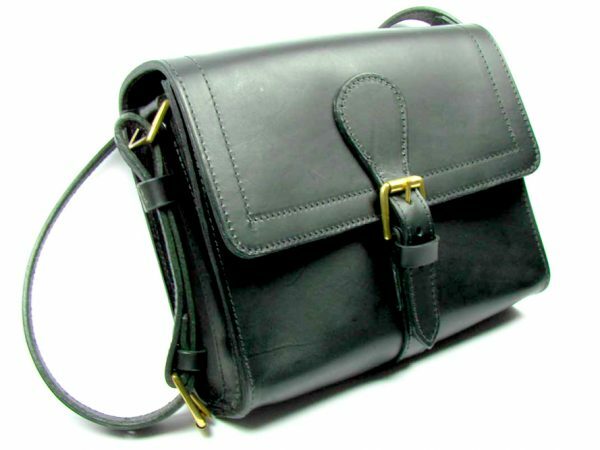 The Mini Hunter is a gorgeous little bag with a simple full length flap giving it a quiet elegance. 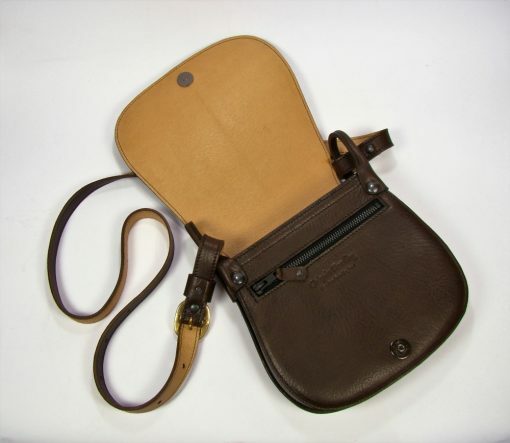 Behind the flap is a zipped pocket and on the back panel a sleeve pocket. 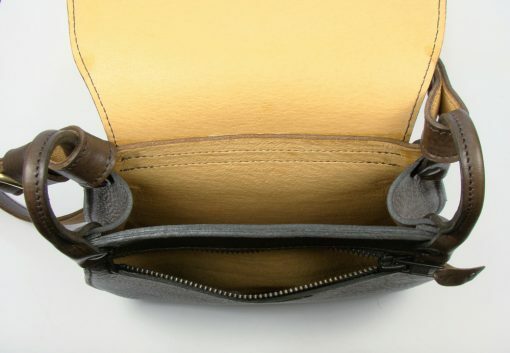 The flap, front and back panels are lined with a soft pig’s skin. 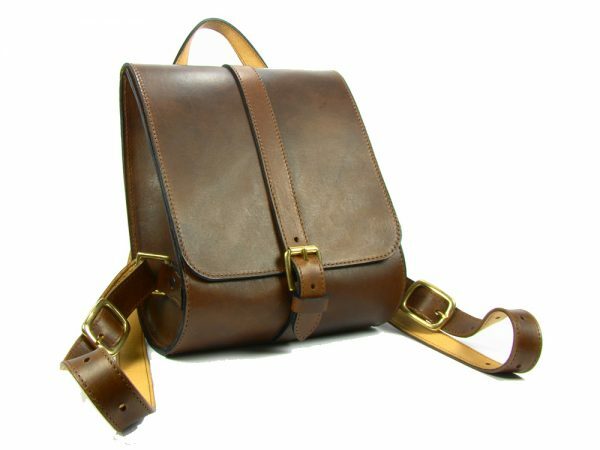 The length of the strap is adjusted with a solid brass, or nickel plated, solid brass buckle and the flap is closed with a magnetic button. 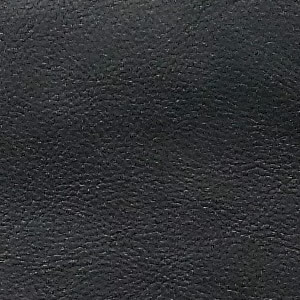 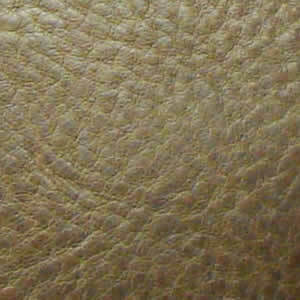 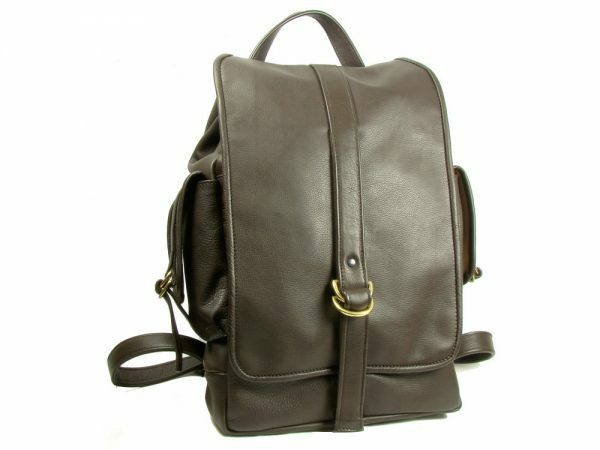 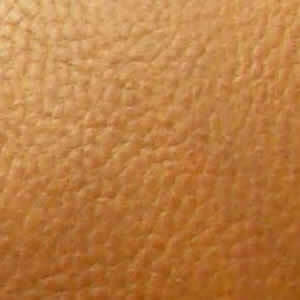 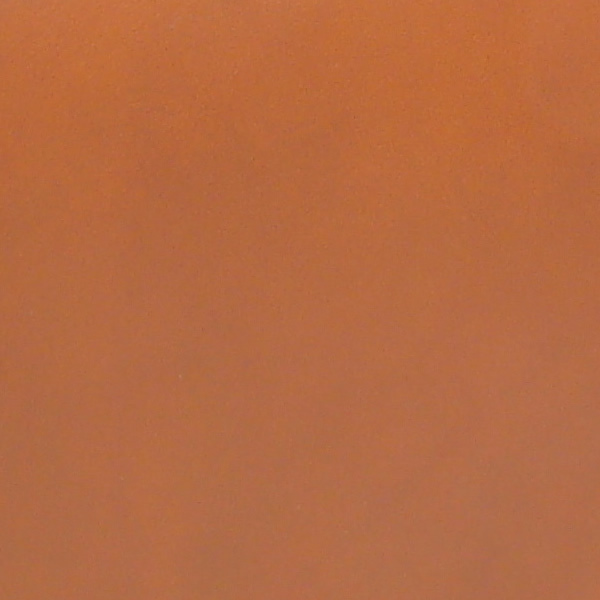 *Other colours and types of leather may be available upon request, possible incurring an additional cost. 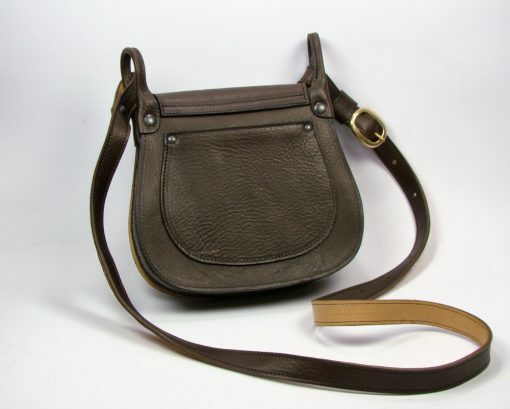 For more information please contact Crispin Bending.